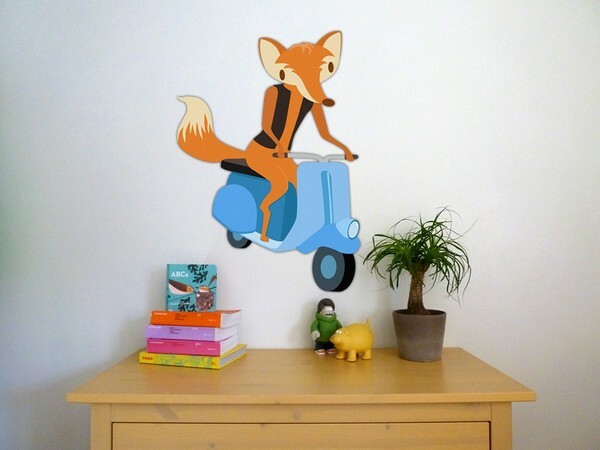 It's a stick up... Our wall decal roundup! 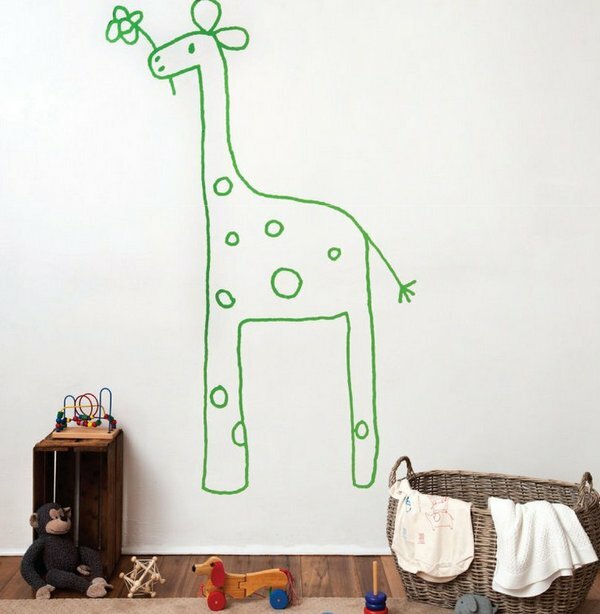 It’s a stick up… Our wall decal roundup! 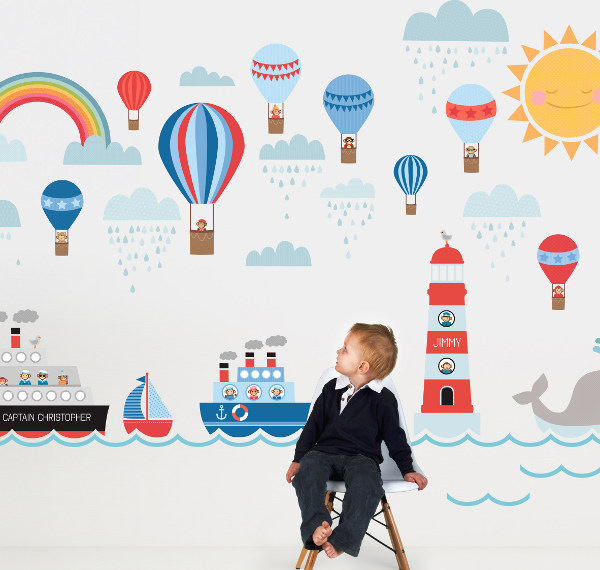 If there is one decor item that has exploded in popularity over the past few years it’s wall decals and it’s easy to see why – decals are a simple and inexpensive way to makeover a room, provide a focal point or set a theme. 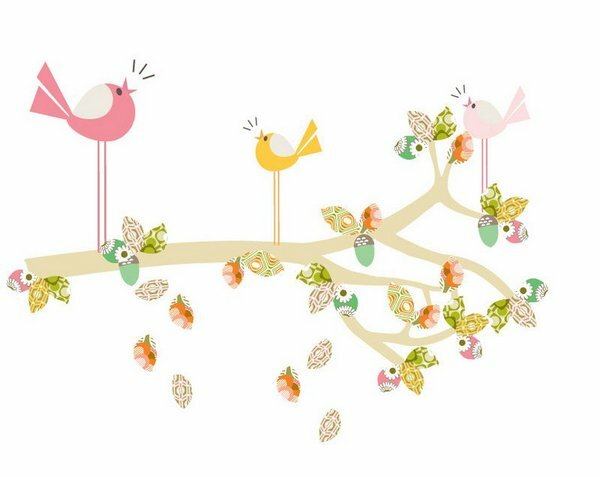 We have reviewed more than fifteen decal designers in the past year – here’s a roundup of the different styles to help narrow your decorating choice. For something with vintage charm, you can’t go past Love Mae, Belle & Boo and Petit Collage. Love Mae specialise in delicate patterns on various decal shapes – expect floral squirrels and brocade-patterned owls as well as quaint tea sets, ‘dress-up dolls’ and retro robots (above). 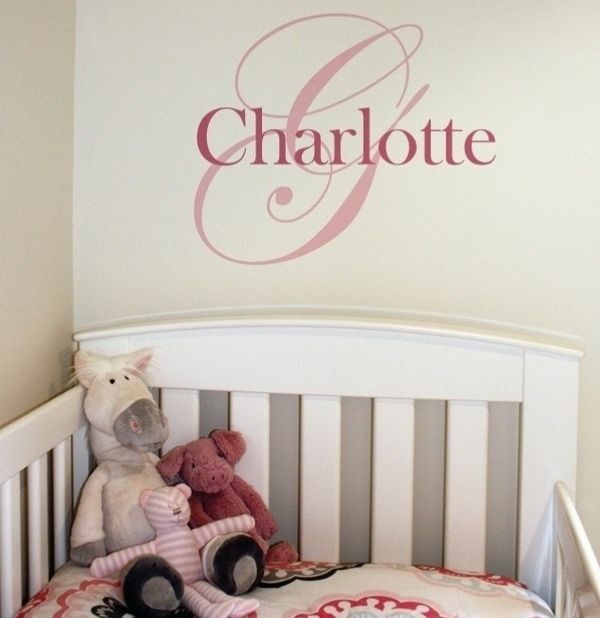 For the nursery wall, Belle & Boo’s charming signature characters are a pure delight. 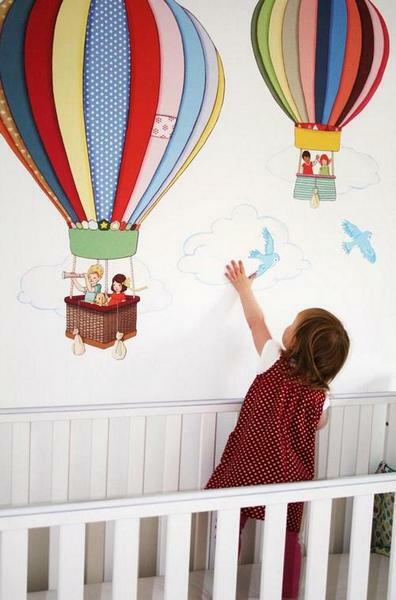 There are designs for boys and girls – I love the stunning hot air balloon decal (below). 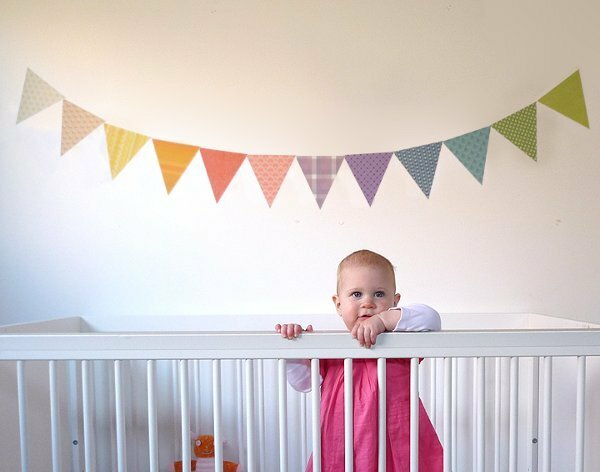 Turn to Petit Collage for a simple nursery statement with their rainbow-hued bunting (shown at top). Find sweet silhouettes at Paristic, Jujube and Hommu. There’s city skylines at Paristic, kawaii-cute animals at Jujube (both shown below) and stunning, bright cut-outs from Hommu (above). Wanting to make a design statement? 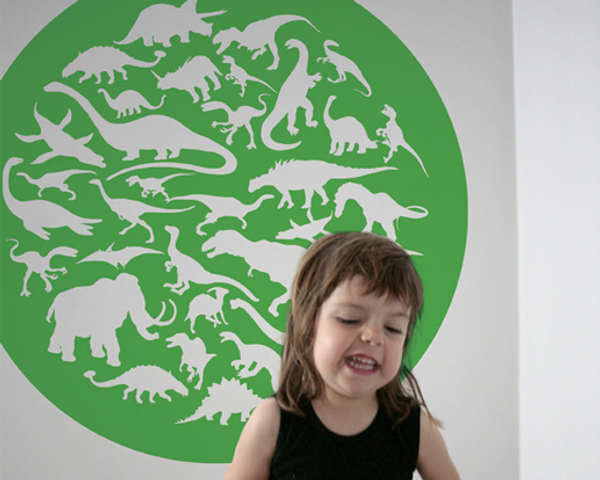 Large decals can be the centrepiece of a room. Try Pop & Lolli for cartoon-like characters that pop with colour (above) or Funky Little Darlings for awesomely bright, psychedelic designs (below). 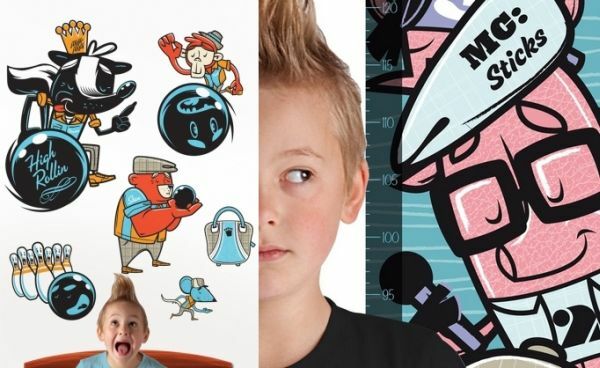 For boys, Mister Mista designs dominate – they’re edgy, out there and will carry a boy’s room from baby through to teenagehood (below). If you’re not sure where to start, head to 41 Orchard, Mustachio or Sticky Tiki for inspiration. 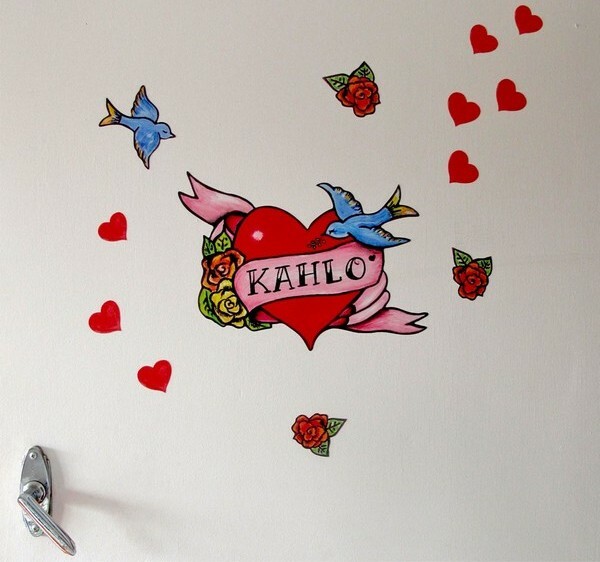 These designers have a range of decals in different styles but we love 41 Orchard’s Mushroom Madness design, Mustachio’s thoroughly modern fox and Sticky Tiki’s über-cool personalised ‘heart tat’ for doors. 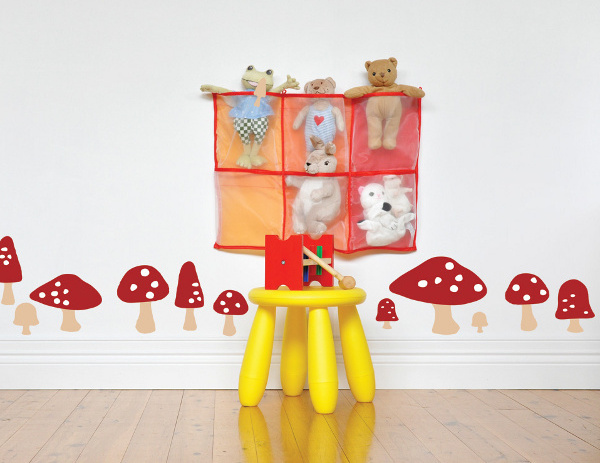 There’s more personalised decals to be had at Mooo and The Wall Sticker Company. 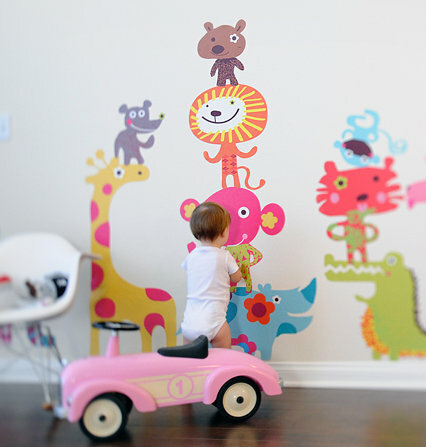 Check out Mooo for your child’s name added to a range of fun scenes or create something completely unique with custom designs at The Wall Sticker Company. 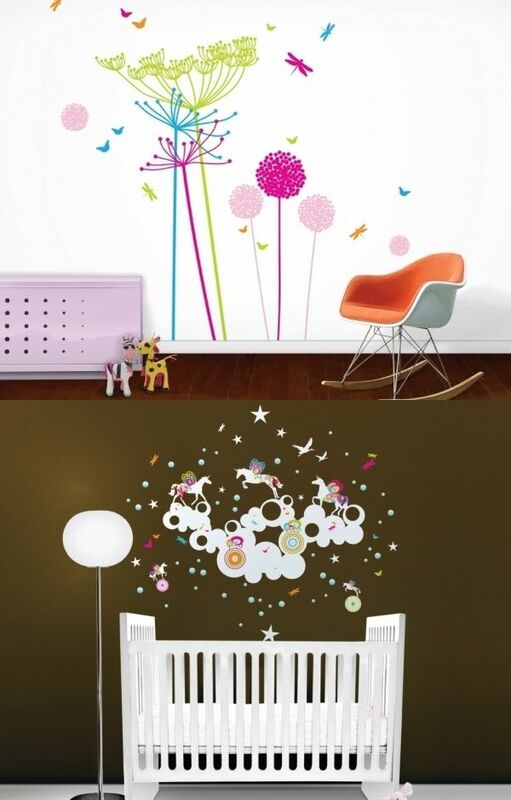 We also love the Jane Reiseger and Cocoon Couture designs found at The Wall Sticker Company (shown at bottom). Still want more?! 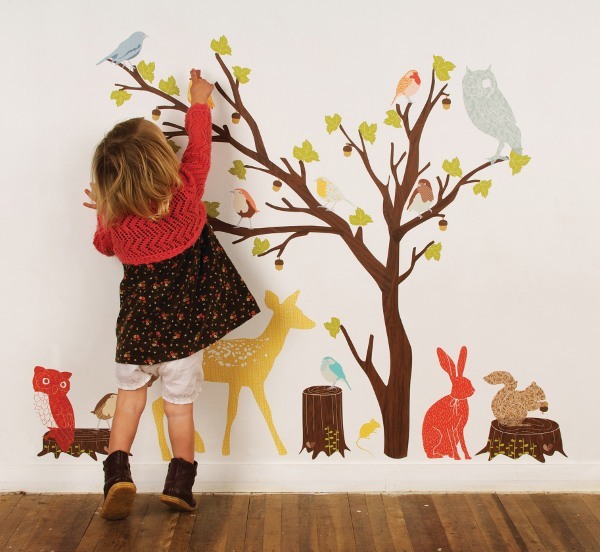 Browse all of our previous posts on wall decals and find your perfect stick-up.